AIKIN, JOHN (1747-1822), English doctor and writer, was born at Kibworth-Harcourt, and received his elementary education at the Nonconformist academy at Warrington, where his father was tutor. 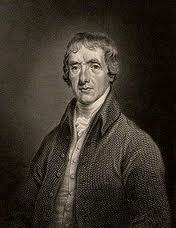 He studied medicine in the university of Edinburgh, and in London under Dr Wilham Hunter. He practiced as a surgeon at Chester and Warrington. Finally, he went to Leyden, took the degree of M.D. (1780), and in 1784 established himself as a doctor in Yarmouth. In 1792 he removed to London, where he practiced as a consulting physician. But he concerned himself more with the advocacy of liberty of conscience than with his professional duties, and he began at an early period to devote himself to literary pursuits. In conjunction with his sister, Mrs. Barbauld, he published a popular series of volumes entitled Evenings at Home (6 vols., 1792-1795), excellently adapted for elementary family reading, which were translated into almost every European language. In 1798 Dr Aikin retired from professional life and devoted himself with great industry to various literary undertakings, among which his General Biography (10 vols., 1799-1815) holds a conspicuous place. Besides these, he published Biographical Memoirs of Medicine (1780); Lives of John Selden and Archbishop Usher (1812) and other works. He edited the Monthly Magazine from 1796 to 1807, and conducted a paper called the Athenaeum from 1807 to 1809, when it was discontinued. Aikin died in 1822. His daughter, LUCY AIKIN (1781-1864), born at Warrington on the 6th of November 1781, had some repute as a historical writer. After producing various books for the young, and a novel, Lorimer (1814), she published in 1818 her Memoirs of the Court of Queen Elizabeth, which passed through several editions. This was followed by Memoirs of the Court of James I. (1822), Memoirs of the Court of Charles I. (1833) and a Life of Addison (1843). Miss Aikin died at Hampstead, where she had lived for forty years, on the 29th of January 1864. See a Memoir of John Aikin, with selections of his miscellaneous pieces (1823), by his daughter; and the Memoirs, Miscellanies and Letters of William Ellery Channing, edited by P. H. Le Breton.